I didn’t get round to uploading any photos of last years ginger bread house but anyone that’s been to our house in the last year will have seen it! It’s been on the sideboard as a permanent feature all year! There’s no chance we’ll eat it now, but it makes a great Christmas decoration and having had baby Chloe just three weeks ago there certainly won’t be time to make one this year! Click here to see more photos of my magical house. Last week on Friday we got home from work to find a bowl full of eggs fresh on our doorstep, from our neighbours. I decided that in return for the eggs, I would bake them some cupcakes. I’ve had these pinned on Pinterest for ages and decided that they were the perfect cakes to make – spring-like and quick to make. Click here to find out how to make them. It was my Birthday last week, so it was time to bake myself a cake and try out some new recipes. I really don’t mind making my own Birthday cake and it gave me the opportunity to try something new. Click here to see which recipe I chose. Over the last few months, lots of my friends have had babies. Having just had a baby myself 4 months ago, I know how crazy the first few days and weeks can be. I love making presents for people and a box of cupcakes seemed perfect for any new parents – especially useful to have something to offer any visitors or for those days when things are so chaotic that all you manage to eat is a cupcake for breakfast, lunch and dinner! Click here to see how these cakes are made. Last time I got back from holiday, I bought some Toblerone at the airport, I decided to copy Emma’s idea and use it to make some treats for the office. I chose a summery design, perfect for the warm weather we’ve been having recently. 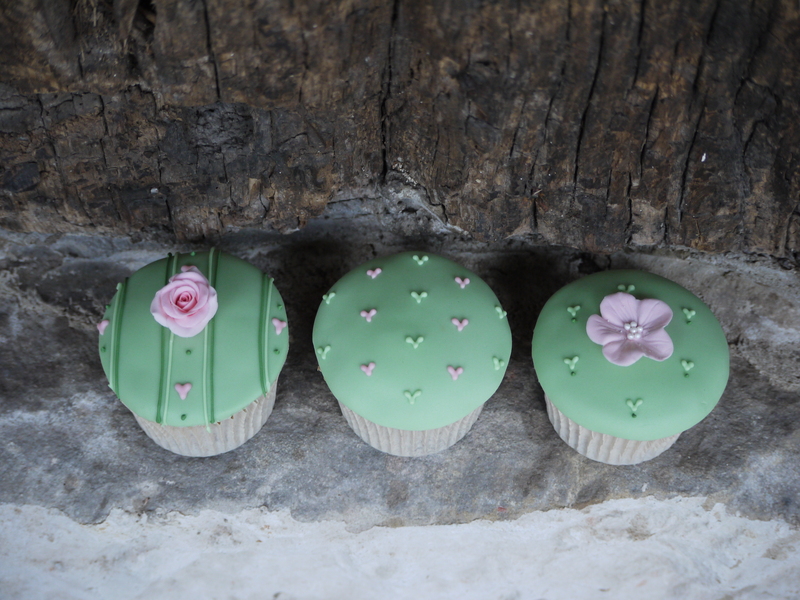 Click here to find out more about these pretty cupcakes.